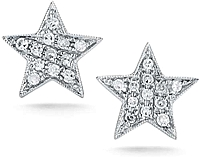 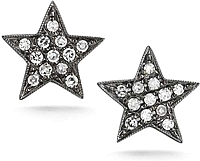 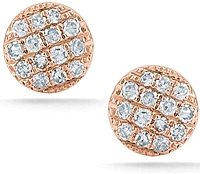 Round pave diamond stud earrings sparkle with 0.25 carats of diamonds set in 14k rose gold. 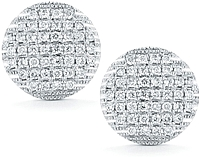 These post backed earrings are perfect for everyday wear and substantial enough for any lobe. 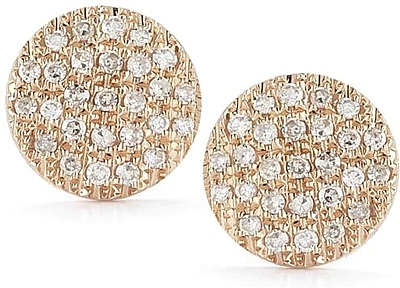 The Lauren Joy Medium earrings will easily become a seasoned favorite.